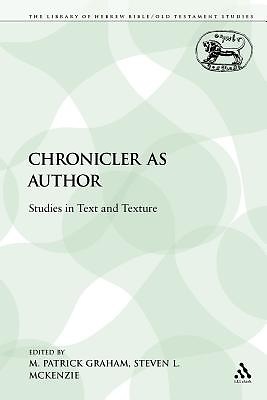 This volume represents an international collaboration focusing on the books of Chronicles as literature, looking at their literary sources, their techniques of composition, their perspectives, how they were read in antiquity, and the value of contemporary reading strategies for bringing the text to life in the present day. It opens with five 'Overview' articles by Kai Peltonen, Steven McKenzie, Graeme Auld, Rodney Duke and John Wright; William Schniedewind, Gary Knoppers, Ehud Ben Zvi, Armin Siedlecki and Howard Wallace deal with 'Themes'; and James Trotter, Christine Mitchell, Kirsten Nielsen, Noel Bailey, Roland Boer and Magnar Karveit address specific texts. The collection both reflects and stimulates recent and contemporary fascination with the Chronicler in biblical scholarship.